Remembrance Day (11 November) is on on Armistice day this year marking the 100th anniversary of the end of World War 1. 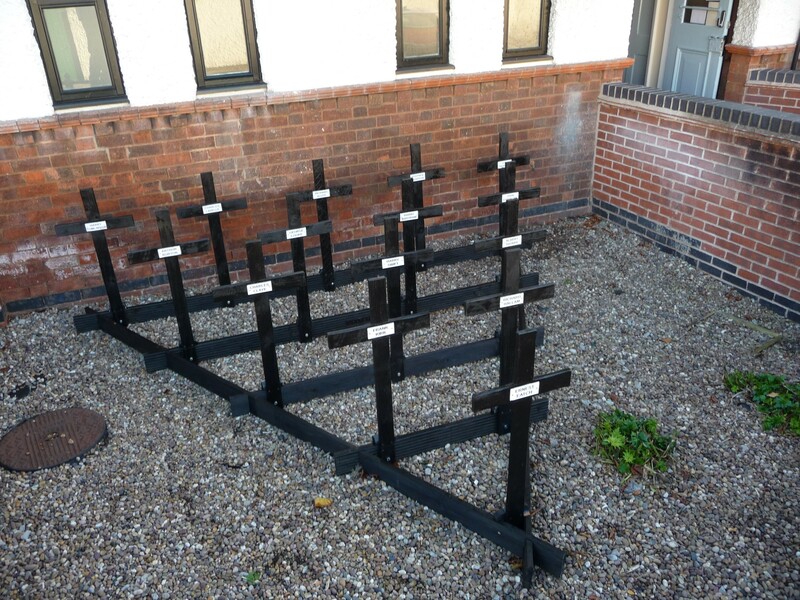 15 named replica crosses made by Alan Foster commemorating the Bramcote men who lost their lives in WW1 have been set up at the front of Bramcote Memorial Hall. The crosses are a copy of the one in the porch of St. Michael’s Church that brought back from from France after the War. 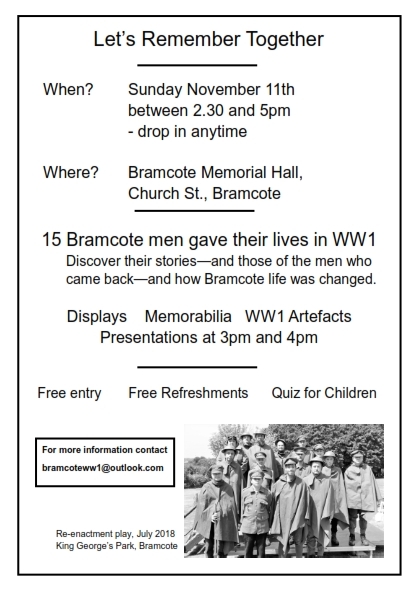 Discover the stories of these men and those of the men who returned at the special event in the Memorial Hall 2.30pm to 5.00pm on Sunday 11 November. See the details in the poster below.